Reel Talk Online: Enter to Win a Blu-Ray Copy of "New Year's Eve!" Enter to Win a Blu-Ray Copy of "New Year's Eve!" I know we've got quite some time until the next New Year's is upon us. 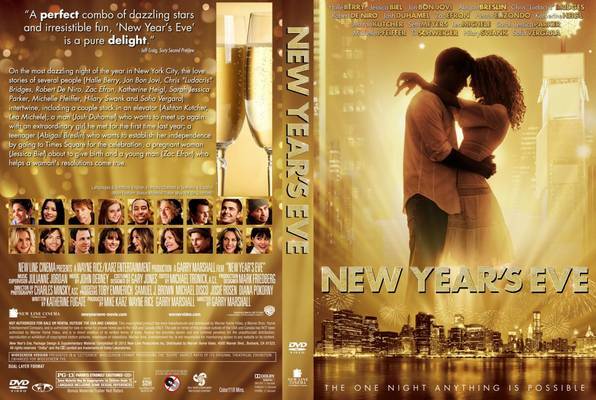 But, in honor of the ensemble comedy New Year's Eve coming to home video, we're giving away a blu-ray copy of the movie--which stars Ashton Kutcher, Sarah Jessica Parker and Jessica Biel, among others--right here on the website. Take The Quiz! Are you on your way to making the most out of 2012? Take this quiz and find out if you are a Resolution Renegade! Personal New Years Eve Tips! We want you to make your resolutions come true, so to help you achieve your goal we will get you some awesome tips to jump-start your resolution this year! Get Social! Spread the word about the New Years Eve. Tweet to your followers with the #ResolutionReset hashtag! The deadline to participate is May 14th, so act now!